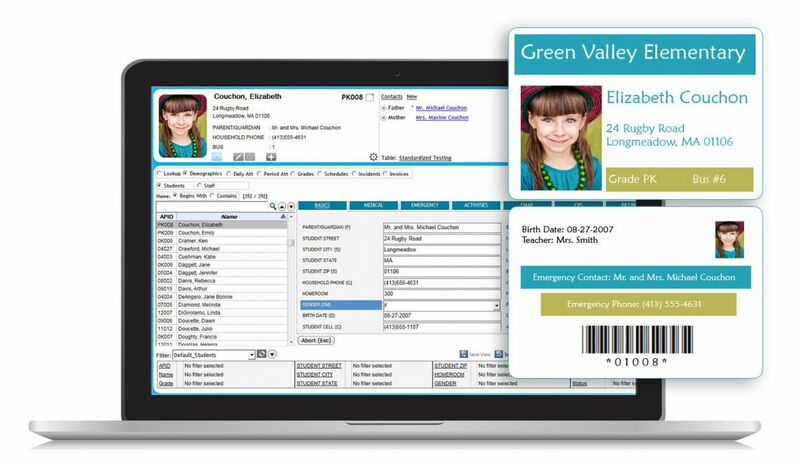 Pictures Plus, our school ID card software, is the complete solution for school photos, student photo ID cards, school directories, and other photo-based projects. Added Photos: Import photos from your yearbook company or easily take student and staff photos using a camera, camcorder, smartphone, or webcam connected to your computer. Shared with the Database: Photos automatically appear in Administrator’s Plus, TeacherPlus Gradebook, PlusPortals, Admissions Plus Pro, and School Office Suite programs including AP Accounting, SNAP Health Center, QuikLunch Cafeteria, and Atrium Library. Mobile Photos: Access student and staff photos on your favorite mobile device with AP Mobile Apps for iOS and Android®. ID Cards: Design vertical or horizontal photo ID cards for all students and staff. Include barcodes so cards can be quickly swiped or scanned to record tardy students, process cafeteria sales and check out library books. 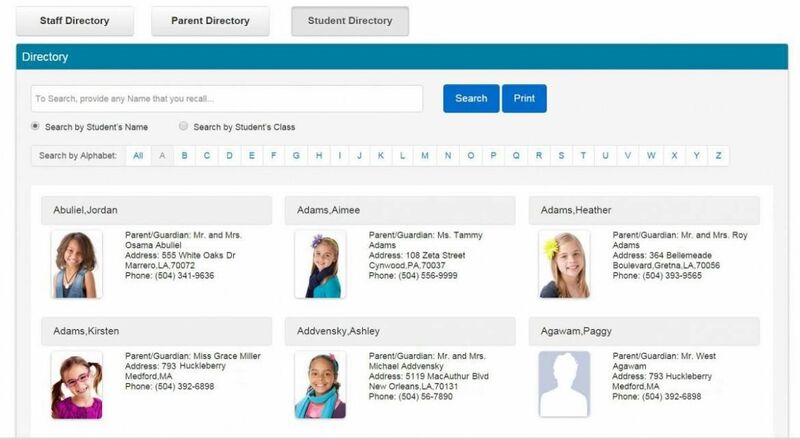 Directories: Produce student and staff directories with photos to be emailed, printed or automatically available and searchable on PlusPortals. Seating Charts: Create picture seating charts in TeacherPlus Gradebook.